Bedtime is a time of relaxation, and what better way to relax than in these pretty yo-yo-embellished sheets. Yo-yos are a great way to use up scrap fabric to enhance wearables and home decor. Yo-yos fit 2 pillowcases and 1 flat sheet. 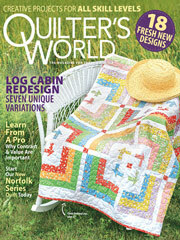 This e-pattern was originally published in Yo-Yo Quilting.